When choosing a storage drive for your CCTV requirements, it is essential to make the right choice. Many consumers, and companies assume that a normal desktop hard drive is fine for their surveillance needs. They go with this logic thinking that all hard drives are same and operate in a similar manner. But this assumption of them is very wrong. Traditional, desktop hard drives are made to operate only for 8 hours a day and 6 days a week. So, the overall workload will be at the most 10%-20% and their performance will be low to moderate. Therefore, they usually exhibit low mean time between failures. While a surveillance hard drive forms a central component to the digital storage of surveillance video. It can be used in a DVR, NVR, Video Server or a Video Management System in order to work 24 hours a day and 7 days week. These hard drives need to be always active, in order to keep video evidence live. Generally, a surveillance hard drive usage will be moderate to high and any kind of hard drive disruption will affect multiple users. Therefore, hard drives makers offering such drives will often offer them with high mean time between failure ability. At CCTV Aware, the discussion of Surveillance Drives vs Desktop Drives comes up quite often. 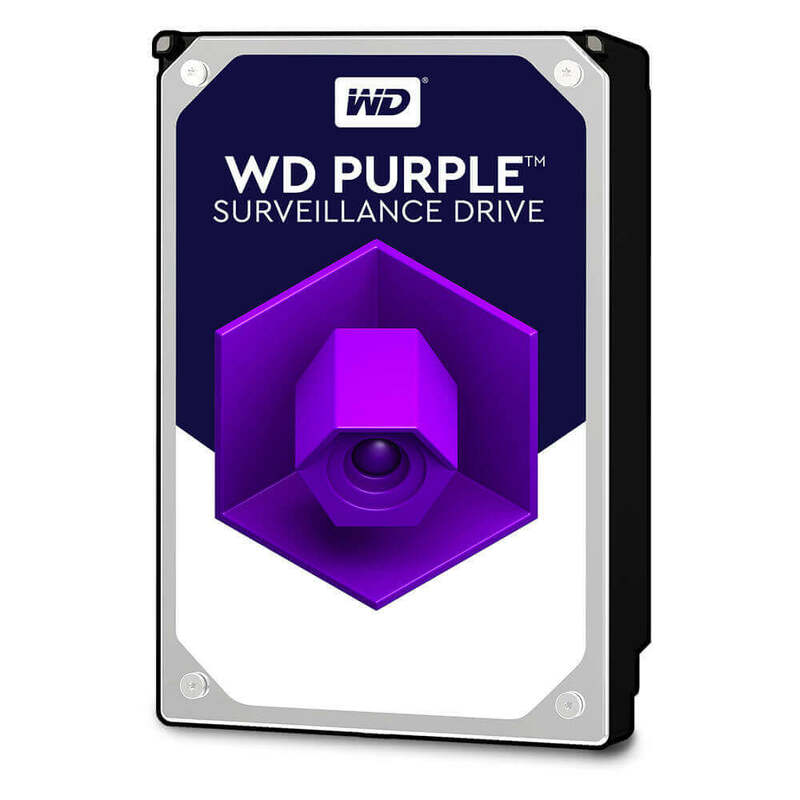 We only use Western Digital Purple drives. This ensures that we comply both with the Hikvision recommendation, whilst giving you the ultimate in product reliability for your safety. Remember, if you are the user, it is your duty to ask the vendor or installer, regarding the components and hardware used in the surveillance installation. You should insist on a solution, which is highly customisable, scalable, reliable and easy to manage. If you are speaking to a company who is unable to answer any of the questions about the components contained within your CCTV system, look elsewhere. We’re always here for advice should you need it, feel free to call us on 0800 772 0822. Hikvision DS-7600/7700 I, K, E Series Network Video Recorder Firmware Released!